Before you send your board layout to PCB manufacturing, you should always check your board for errors. There is always a chance of errors when you design a board. Very often there are mistakes on a board. And very often you don’t discover it before you have manufactured the circuit board and are trying to troubleshoot it. Many errors can be removed by making sure your schematic is correct. When you are sure your schematic is correct, there are a few other checks you should do to minimize the chances of any problems. When you are routing your board layout there is always the chance of missing a wire when routing. You should always be 100 % sure that all your nets are routed before sending a board to PCB manufacturing. If there is an unrouted net on your board, you might run into some serious headaches when troubleshooting your circuit. In Eagle you can check for unrouted nets by running the script called “length”. Type “run length” in the Eagle command line to start the script. It will show a list of all your nets and which ones that are unrouted. To find where the unrouted net are located on the board, type “show net_name” (change net_name to the name of the net you want to find). Always make sure your board layout and schematic stay consistent, before you send it to PCB manufacturing. This means that their set of parts/elements and nets/signals must be equivalent. This consistency check is done by your PCB software. In Eagle, the consistency check is done by the Electrical Rule Check (ERC). Choose “Tools” in the top menu and click on “ERC”. If there are no errors, nothing happens except for a text in the bottom of the screen saying “no errors/warnings”. Use the design rule check (DRC) to make sure your drill holes, trace widths, spacings and such are within the capabilities of your PCB manufacturer. Either use a supplied DRC file from you manufacturer or put in the design constraints manually. In Eagle, choose “Tools” in the top menu and click on “DRC”. If there are no errors, nothing happens except for a text in the bottom of the screen saying “no errors/warnings”. Create gerber files from your board layout. A guide on how to create gerber files can be found here. Then use a free online gerber viewer to check your board visually for any mistakes. 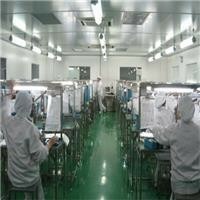 If everything looks ok, you are ready to send your board to production. Choose a manufacturer that you like and follow their instructions on how to send them your gerber files. This is usually done by email, a web upload or through a custom software. 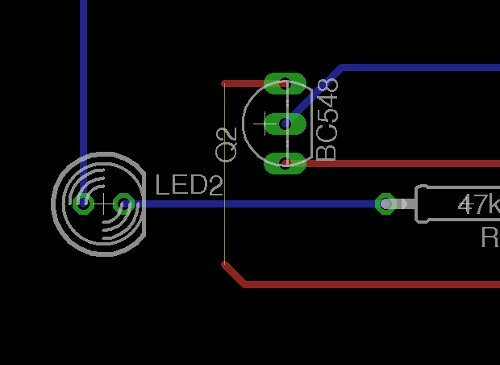 If you haven’t already, I recommend STRONGLY that you learn how to design your own circuit boards. This will enable you to build projects like an Mp3 Player, a Quadcopter or a wireless RFID Music Player.